The new VooPoo Drag Nano Pod System is now available for $44.91 using our exclusive code "vapingcheap"! There are 7 different color options you can currently choose from. The Drag series by VooPoo is another popular line of devices, and they've finally entered the pod market with their latest addition, the Drag Nano. 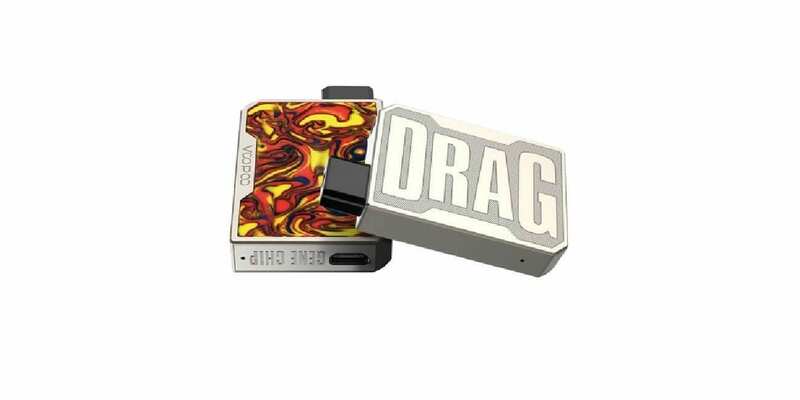 This unique pod system carries similar traits such as the "DRAG" logo on on side, and resin panel on the other. In addition, it's also powered by VooPoo's chipset, the Gene.Pod chip. VooPoo's Drag Nano Pod System Kit features an internal 750mAh battery, and can be fully charged within one hour at a 1A charging rate. You can get around 350 puffs before needing to recharge the battery, so it'll easily last through most of the work day on a single charge. Included in the packaging, you do receive 1 nano pod, which does have an e-liquid capacity of 1ml. It does feature a top fill design, so filling can be done quickly. The coil inside of the pod has a resistance of 1.8 ohm, so it's ideal for higher nicotine e-liquids and nicotine salts. As you'd expect with any VooPoo device, it has many safety features built. All in all, this looks to be like another excellent pod system to enter the market. 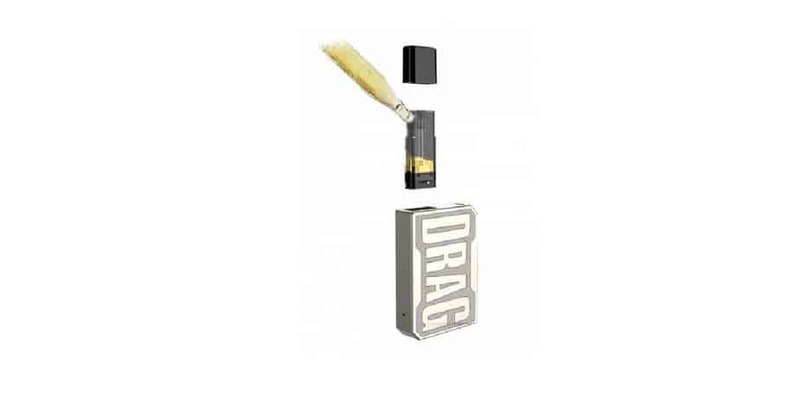 It does sport a familiar design, and vapers who are fans of the Drag box mods will surely enjoy its aesthetics. You can get this deal over at VapeSourcing for $44.91, but remember to apply our exclusive discount to get this price.